A large part of Final Fantasy XIV: A Realm Reborn’s success has been down to its narrative. Not just how the story flows from one beat to the next, but how it manages to expertly weave its characters and plot into each action you undertake and work towards. It makes the narrative feel truly interactive – affected by you as a player. More than with many MMOs, intrigue as to the future direction of Final Fantasy XIV’s plot results in players sticking around for the long haul, dedicating themselves to playing their part in the unfolding events. Having such an effect on players is no easy feat. 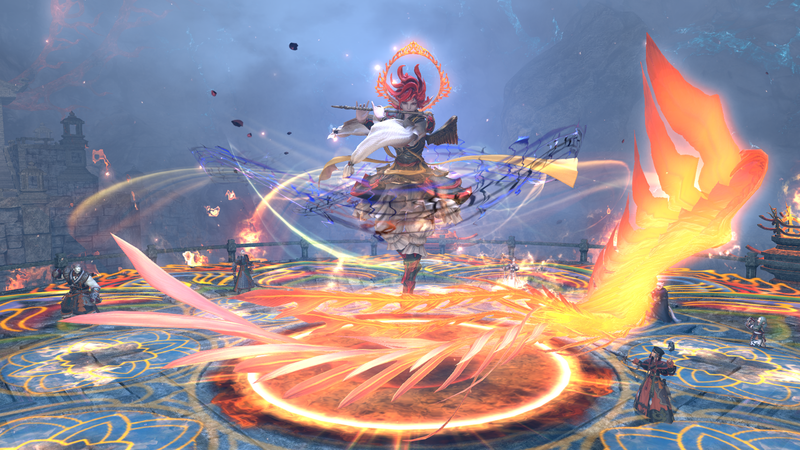 To find out how the team behind the game has managed it, we talked to FFXIV’s main scenario writer, Natsuko Ishikawa, and lore developer Banri Oda. 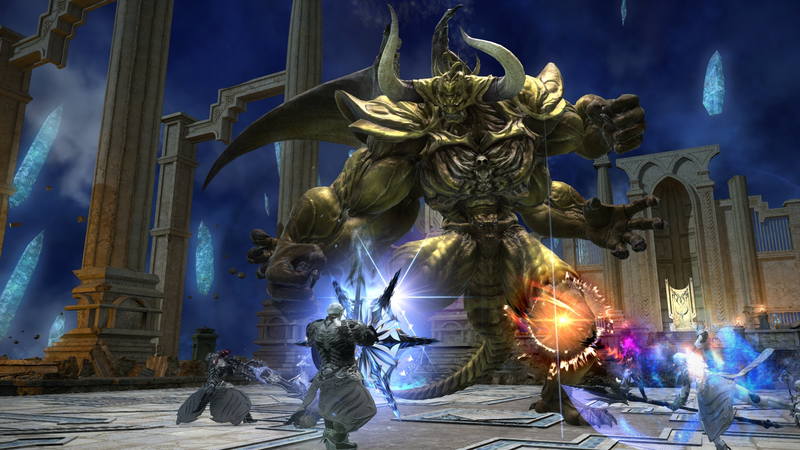 Together, they discuss the initial challenges of creating a story for an MMO, but also reveal how hard it has been to work on FFXIV after its initial failure, which they were able to reverse in time. PCGamesN: How challenging is it to create a narrative and backdrop that works for so many different incentives, playing styles, and outlooks? Natsuko Ishikawa: That players’ experiences vary tremendously is indeed one point that we try to keep a constant awareness of. Currently, there are no major branching differences in the story between different players, but we do still want to give a broad scope for roleplaying in terms of the emotional approach and attachment players have to the actions they perform in different situations. The dialogue options in conversations are one attempt at creating that. One other thing we are aware of at the same time is that this is a game in the Final Fantasy series. For example, we do not think that the player characters should be able to become criminals or perform vicious and brutal actions that are hard to watch. The story is serious and features a lot of tragedy and hardship, but it is also a tale of walking towards the light, and that underpins our thinking. How do you make sure the writing is focused and that you’re constantly tying everything back to your underlying foundation? Banri Oda: I think the most important thing is that the player characters should be the protagonists of the story. This may sound like something that is so obvious it goes without saying, but it’s hugely important. It’s very easy for characters like those in FFXIV, who can be freely customised by the player and that do not speak in cutscenes, to become mere bystanders in the story. Because of that, when we write the story, we really focus on making it feel like events are centred around the Warriors of Light (the player characters) themselves, but without fixing down the personalities of those characters, to give a good breadth of opportunity for roleplaying. How much time do the writing teams spend conferring with the game designers on where to take the game in the future and how to promote that sense of roleplaying? Oda: It goes without saying that we have a very close working relationship with the event planners who implement the quests, but also with the battle team that put together the jobs and boss battles, the level design team who put together the maps and dungeons, and even the different designer teams. Of course, we explain the scenario plot directly to the other teams by meeting face to face, and work very hard so that everyone has a good grasp of the characterisations and storylines. We also frequently get ideas from other teams, such as including elements from the boss battles in the story or writing in some of the spots in the new field maps that the designers make. Do you take inspiration from how the game is being played, or do you prefer to avoid being overly influenced by the playerbase? Ishikawa: Creating a game without observing your players is like buying a present for someone you don’t know. I am very proactive in looking at questions like ‘What kind of people are we trying to deliver an experience to?’, ‘What kind of experience are they looking for?’, and ‘How have they reacted to past content?’. Those kinds of marketing discussions are done for all games, but for FFXIV the situation changes with every new update, so we gather information on them and their reactions fairly regularly. However, if you talk about just the scenario writing, then the results of those player surveys have very little direct influence on the story itself. This is because if we were to change the direction of the story based on player feelings towards specific characters or plot points at specific times then the whole narrative structure would become rather warped and move away from the big themes that we’re trying to depict. What are the biggest differences in writing for an MMO as opposed to writing for a single-player game? Ishikawa: I think the headaches we get writing FFXIV are not as much to do with it being an MMO as with having characters that the player can design freely and with the story being constantly updated. This means that it is very difficult to get the protagonists to perform as characters. For example, if we wanted a [playable character] to high five with an [NPC] it’s not so easy because different players will have different physiques. Sometimes they’ll be about the same height as the NPC, but other player characters would be much bigger and need to crouch down to reach their hand, while others still would be shorter and need to stretch. It would incur a great development cost to make a system that covers all the possibilities. On top of that, if we were to do this and then add a new expansion which included new races and jobs, we would have to go back and tweak the system we had created to work with all the new variations as well. Because of these kinds of concerns, we’re always very aware to work things in a way that keeps the movements of the PCs to a minimum, while still giving the feeling that they’re actively participating in story events. Are the narratives of these expansions written into the lore and overall structure of the world from the earliest stages of development? Oda: It’s quite rare for an MMO, but FFXIV is a story-driven game. 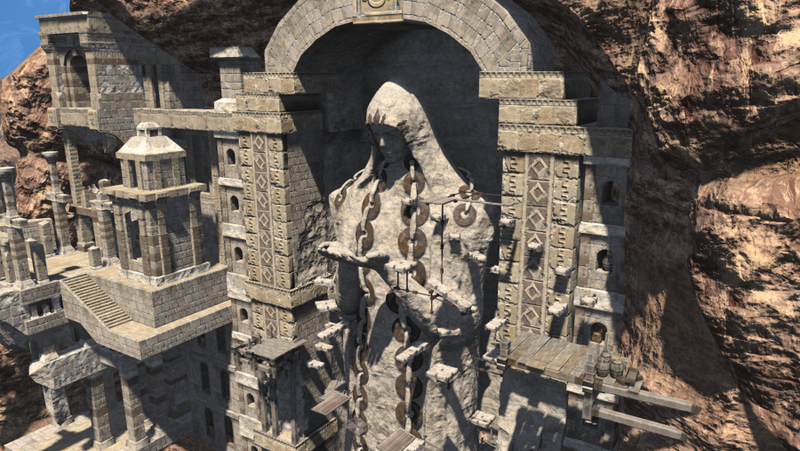 In order to enter the new areas, to take on the dungeons in them or even to participate in raids, you don’t just have to have raised your level, but to have completed certain main scenario quests too. Because of this, the main scenario plot is the first and biggest thing for the expansion packs. The starting point for what worlds and dungeons there will be and what bosses you fight is the plot. Accordingly, it’s always the first thing that we tackle in development. Do you believe that FFXIV would enjoy the kind of quality narrative elements that it does now if it wasn’t for the failure of the game’s initial launch? Ishikawa: As you say, the failure of the original version is a valuable part of FFXIV’s inheritance. I cannot really visualise what FFXIV would be like now if we had not had that experience. However, I don’t think that is the whole reason that we have come to have the story that we do today. Because FFXIV: A Realm Reborn was such a big redesign, everyone involved was searching for an answer to the question of what form the game should finally take. There were many different opinions, such as, ‘We don’t really need a story, players will just want to go off and whack wandering monsters while they have to listen to it’, and ‘They probably won’t read it anyway, so just make it short’. However, the design for A Realm Reborn was ultimately not one that players are concerned about every second of precious time and just spend it all hunting monsters in the wilderness. Once we were confident of that direction, we slowly changed and improved the elements that were not conducive to story development, and finally managed to bring it to the quality you see today. What we value highly is the overall game experience that players have, and we’re not just out to make a deeper story. Because of that approach, we have not simply put all our resources towards showing the story and will probably not be doing so in future. 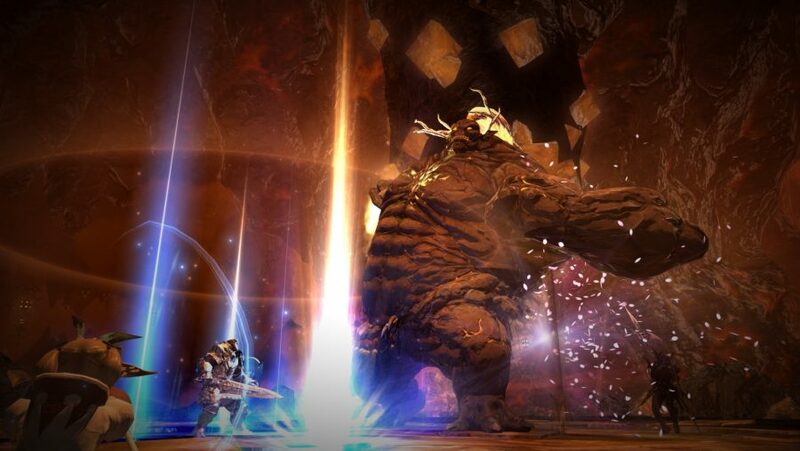 But we do want to provide an amazing story in FFXIV and the story that the game has now is all down to the project staff and the many vital but unglamorous improvements that they have constantly made.